This powerful documentary from actress and first time director Liliana Komorowska takes us through the journey of different woman who all have to go through the devastating diagnosis of learning they have breast cancer. The movie hopes to demystify the deadly disease and gives us intimate details and insights to the struggles of the nine different women. There is sadness, humour and so much strength in this film - it definitely opened up my eyes to the difficulties these women had to go through not only physically but mentally and emotionally too. Beauty and the Breast is not only invaluable as a testament to human resilience, but also proves that it’s possible to reach timeless wisdom in the face of adversity. Beauty and the Breast shook me more than any [documentary] I have ever seen prior, in a good way. It is impossible to watch the film and not be empowered after watching the women's lives. I honestly implore you to watch this film, especially if you have family members or friends that are affected by the disease. 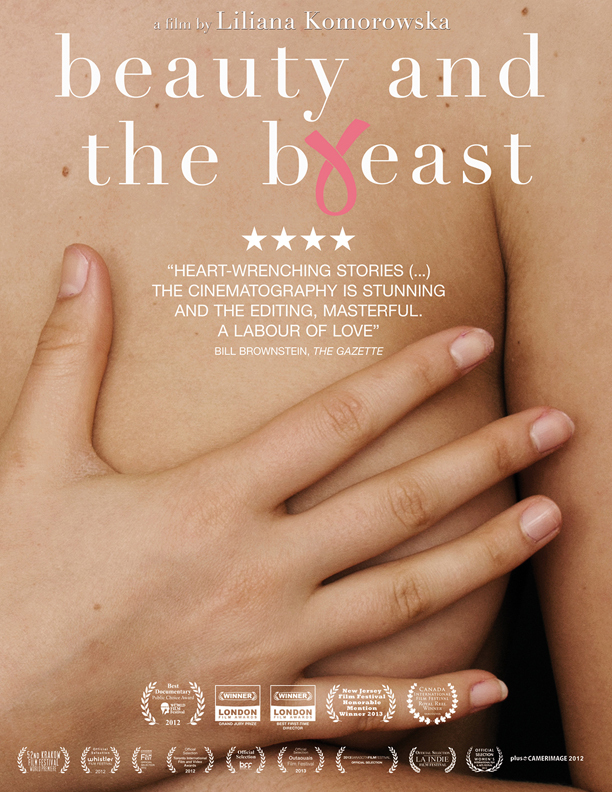 Beauty and the Breast is profoundly moving and sobering yet ultimately uplifting. None of their stories are the same, but they share a common bond and common refusal to go “gentle into that good night.” The cinematography is stunning and the editing, masterful. The film has been a labor of love.